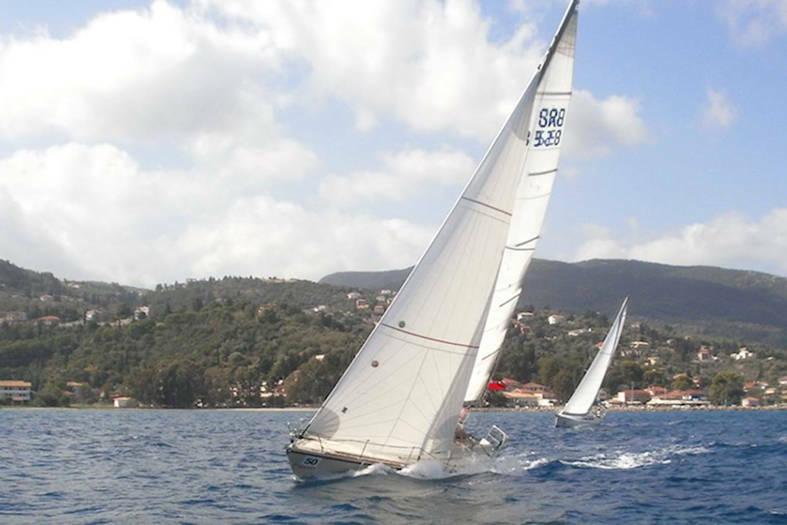 Dehler boat are made in Germany and are known for build quality and sailing performance. The company began 40 years ago with the suggestive name Winnetou, which was the first model to be released from the Willi Dehler shipyard. By the end of the production of this boat 400 had been sold and it is now that Willi Dehler persuades his brother Heinz Dehler to join forces. 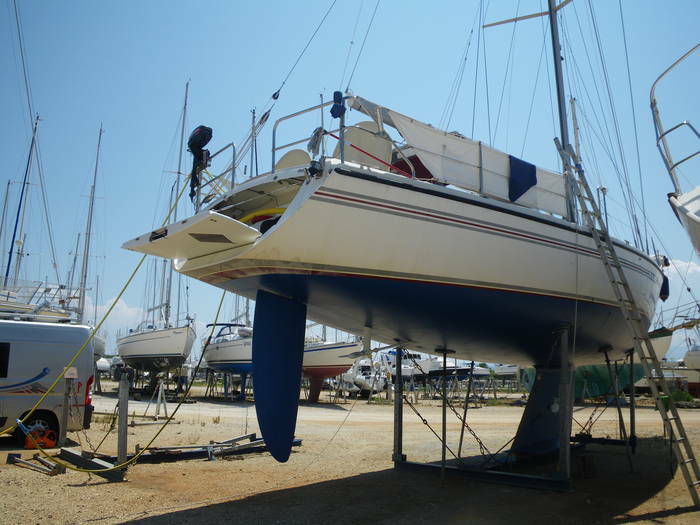 Dehler started to produce boats Varianta, Optima, Delanta, Sprinta, Sprinta DS, Dueta, Dehlya and the production of the Varianta saw some of Germany’s first innovations in boat making including the drop keel and removable cabin. This yacht sleeps 8 in 3 double cabins plus an extra 2 saloon berths making it very spacious. The saloon is fitted with beautiful teak interior with blue upholstery. The double forward facing cabin consists of a V shaped double berth with its own shower sea toilet and wash basin. There are also two twin cabins with storage space and opening portholes. The gallery is equipped with everything you will need for a long haul cruise with a three burner gas stove and oven, with 12v fridge and double sink. There is also another heads compartment aft with sea toilet and hand basin and shower. This Dehler yacht was built with speed, quality, security, and comfort in mind. It can withstand the harshest seas while providing the perfect comfort for all on board. 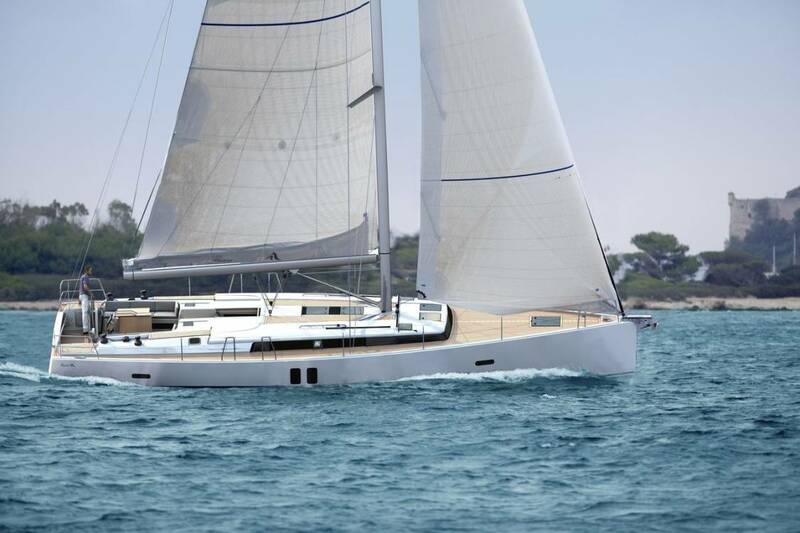 This yacht is a true diamond for all sailing enthusiast.